My office ended up being filled with gold accents like this gold stool, but rather than buy a bunch of new things, I just spray painted stuff I already had. 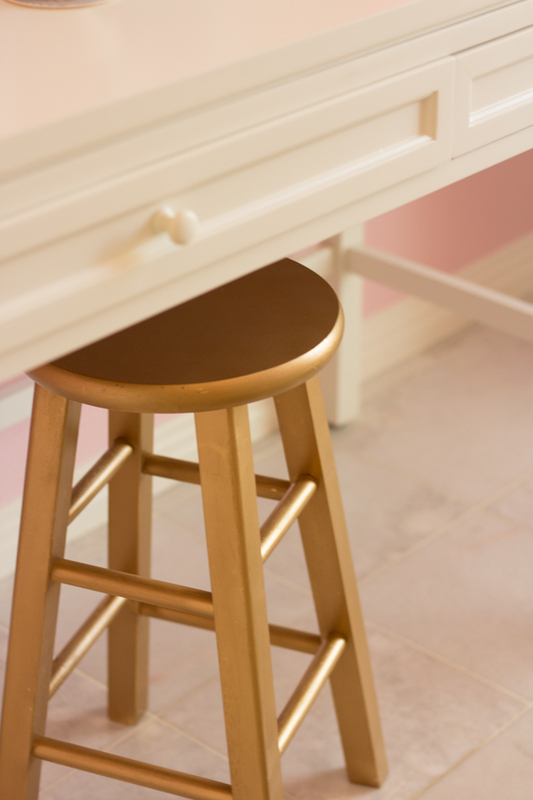 Plus I have no idea where I would be able to buy a metallic gold stool even if I wanted to! 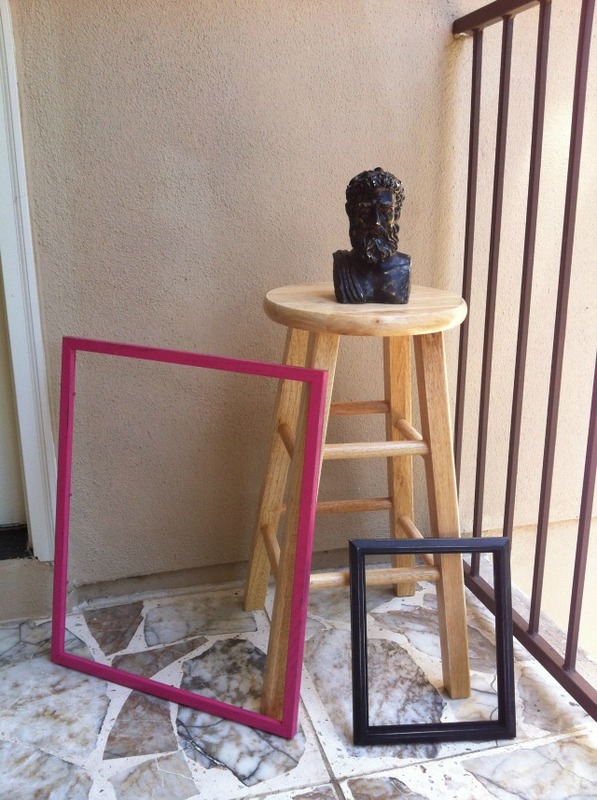 One weekend I rounded up some old frames, this bust bookend, and a basic wood stool from Target and took them in a backyard for a coat of metallic gold spray paint. 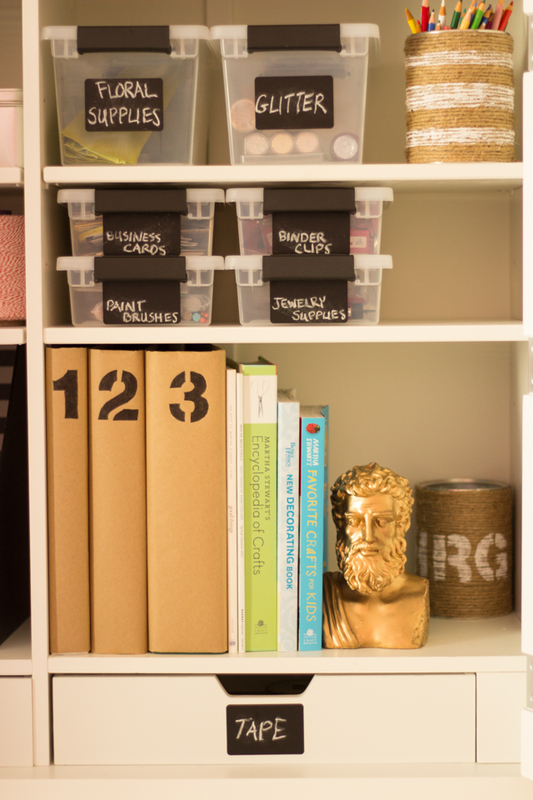 One can covered all of these – not a bad investment for a entirely new set of accessories. 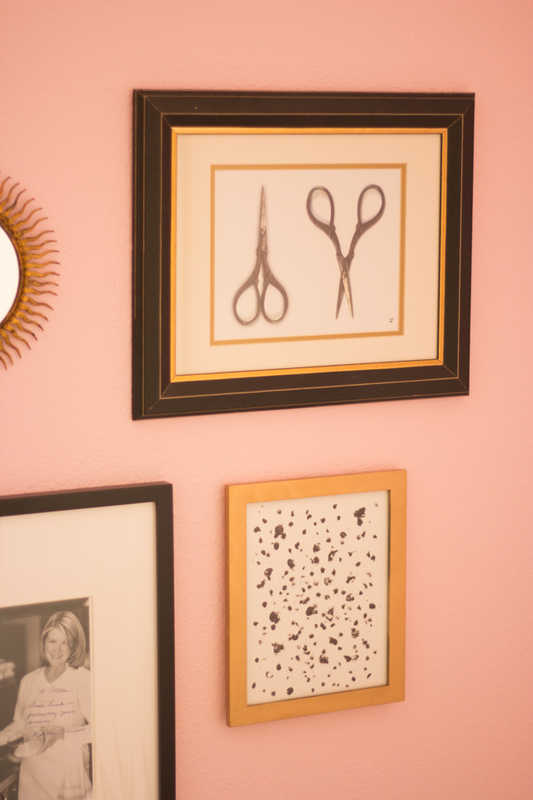 This particular frame started out as black, was spray painted hot pink for the prints in the girls’ old bedroom, and now has been given a new life as a pretty gold frame! 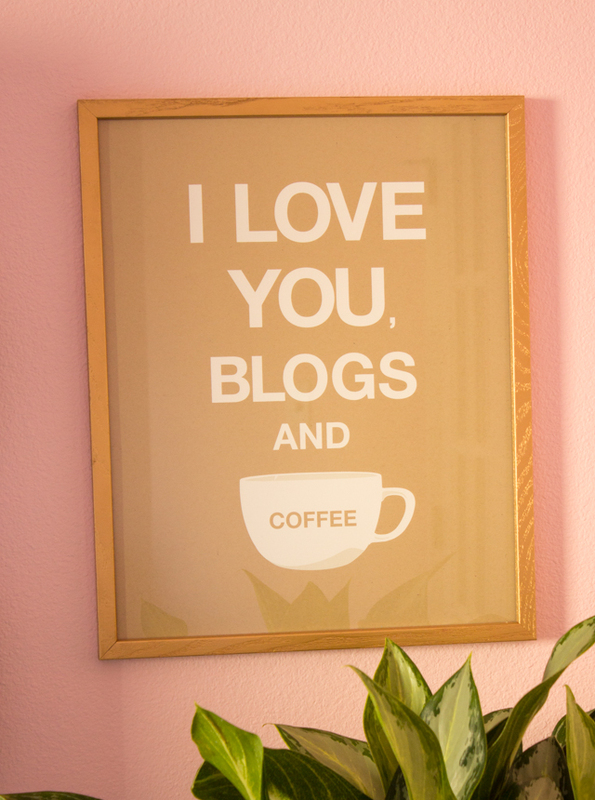 So next time you need to add some new color to your space, see what you already have on hand that you can transform with a spray paint before heading to the store to buy something new!